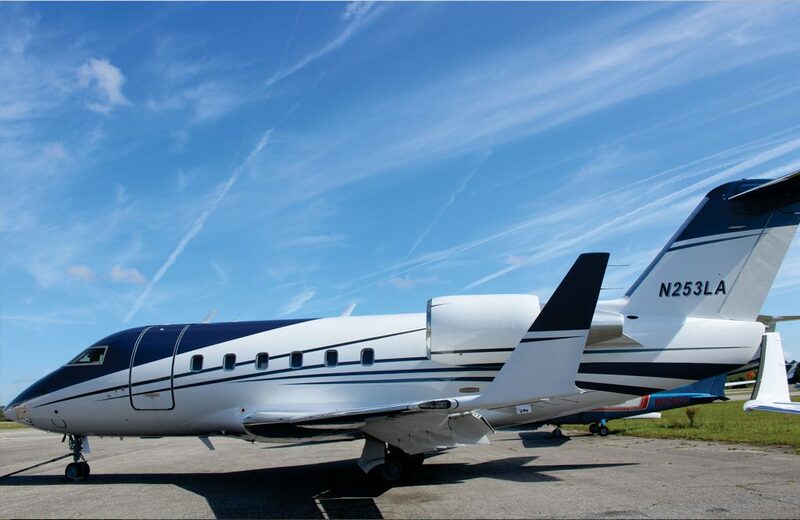 The first step is to hand-wash your aircraft, cutting dirt, waxes, bugs, etc. 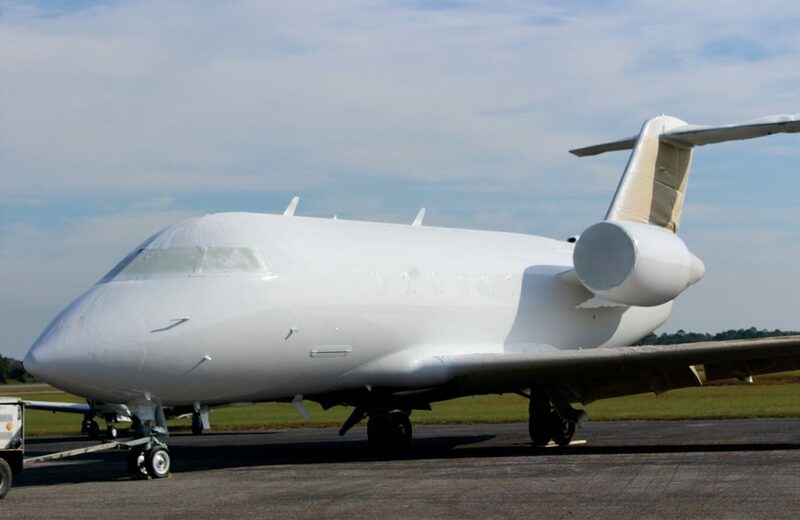 After drying, the sensitive parts of the aircraft, including flight controls, are removed or protected with aluminum and plastic sheeting. A non-acidic, environmentally friendly chemical stripper is then applied. 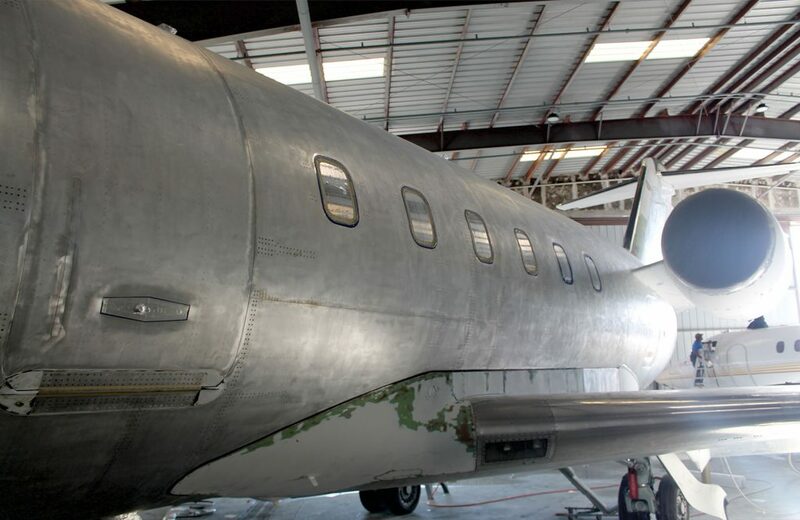 The aircraft will be sanded as required to remove all paint or primer residue, not removed by stripping. Composite parts will be sanded as required. Bodywork, fiberglass and dents will be repaired. Next, a three-step process begins with another hand washing. This time, an alkaline soap is used to ensure a clear start and a chemical etch is applied to all aluminum surfaces. Lastly, the entire surface is treated with alodine to create a layer of aluminum oxide. An epoxy chromate primer is applied in succession to ensure a smooth surface. The base coat of paint is then applied. To ensure that your paint finish has a wet look and to insure proper adhesion, 3-5mls of polyurethane basecoat are applied. Our design team lays out your personal paint scheme on the aircraft by hand. This is one of many steps we take to ensure that you get the exact look you want. After final approval, the colors are applied. *Process may vary based on each individual project. 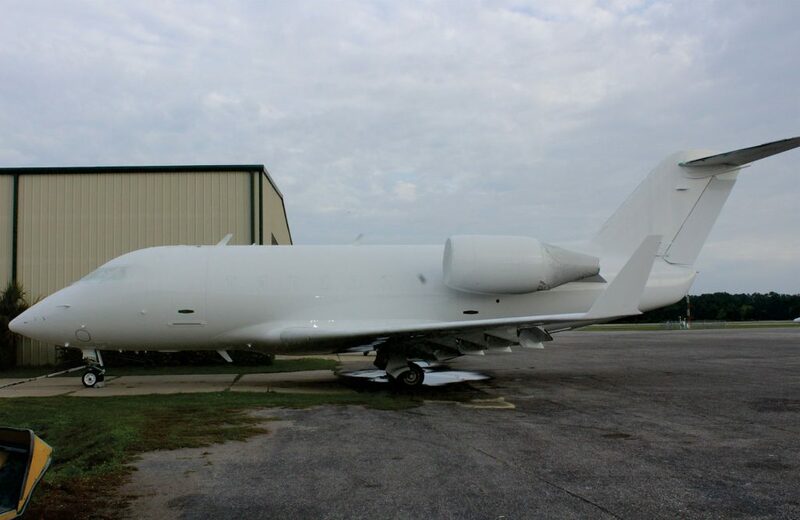 Our standard paint job includes many extras above the industry standards. We offer Registration (N-Number) change via the FAA. Meticulous detail process to insure neat and crisp lines. 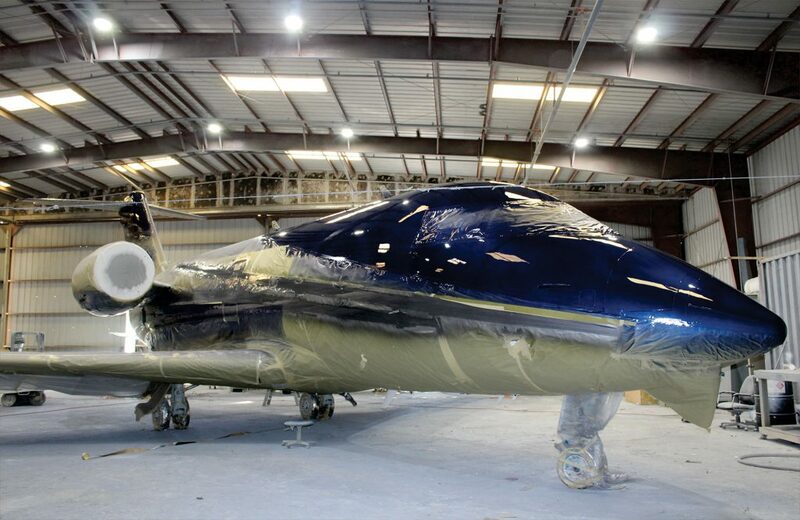 East Coast Aircraft offers Exterior aircraft painting and other detailing services. Call us today for a free quote!